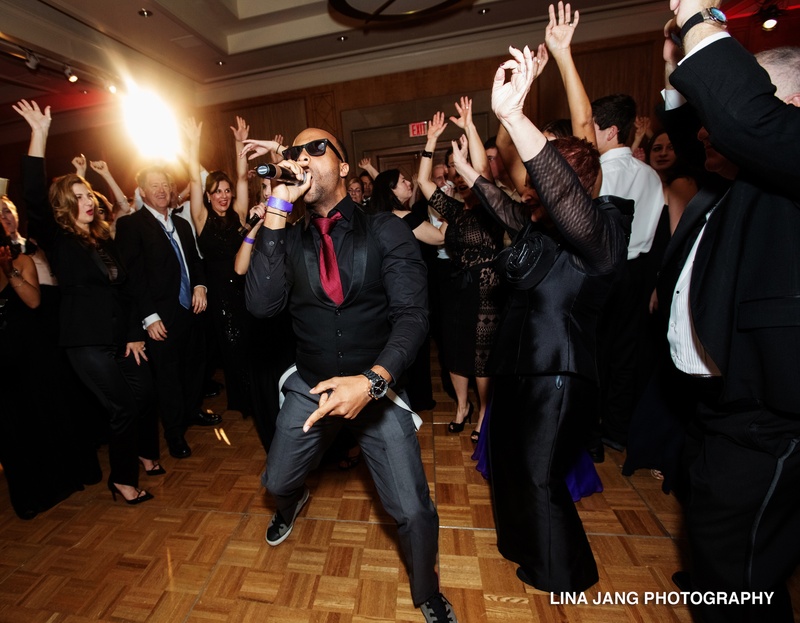 Wedding Entertainment: Find What Works Best For You & Your Venue! While there are so many details to planning a wedding, probably the most fun part for couples is deciding on the entertainment options! Depending on the style of wedding, (ballroom, rustic, destination), you can have an array of activities that you and your guests can enjoy! Here’s some of our favorites! Wedding band – there’s tons of variety here! Big band, ukelele, folk bands or other hired performers! Note: the larger the band, the pricier it may be. Also, make sure to check with the venue first to make sure what you want will fit. DJ – a fun way to have a wide variety of your favorite tracks, both new and old! 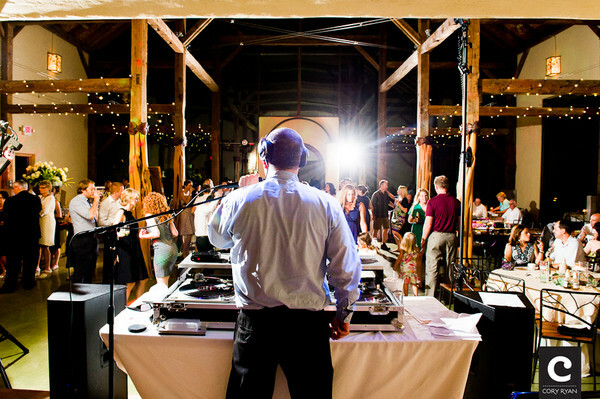 Make sure to discuss song options prior to the event to ensure you have options for partying, slow dances and unexpected congas! Food Trucks – this is a great way to serve food to your guests and/or end the evening with some tasty pretzels, cotton candy, doughnuts or chocolate treats! If it’s an outdoor food truck, make sure you coordinate with your venue and you have all the necessary permits! 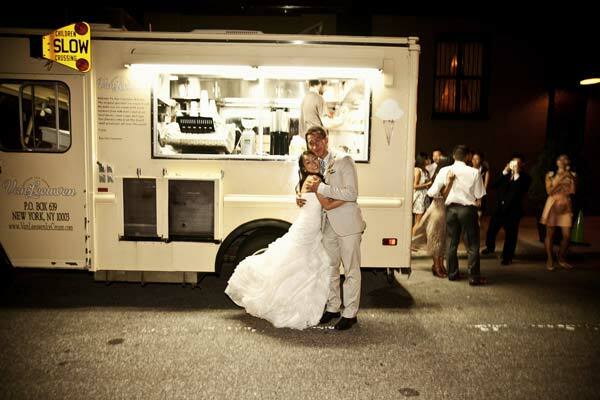 Check out our previous post about wedding food trucks for more details! Photo booth – one of our personal favorites! A great way for you and your guests to have fun memories from the night. One wedding we attended had each guest put one copy of the their photos in the guestbook and write a message. We love that idea! 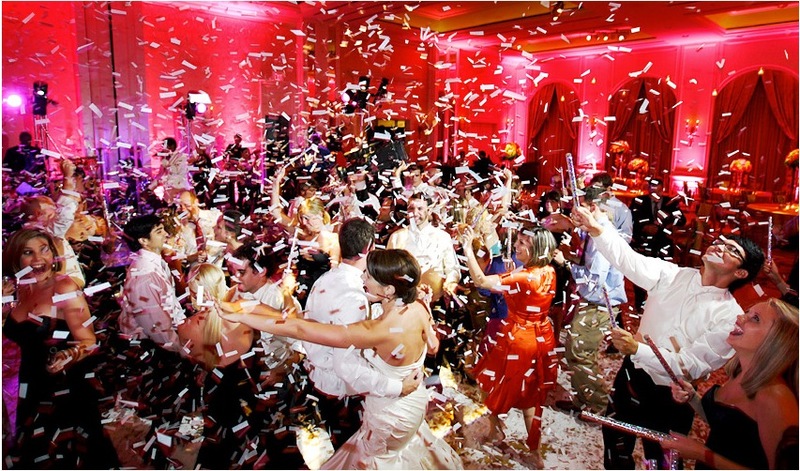 Sparklers / Confetti bar – for some amazing pictures, keep a table at the ceremony available for people to pick up sparklers and confetti. When the couple is walking down the aisle, this is a great time to use these as the couple makes themselves official! Kids activities (caricatures, game room) – For a wedding with lots of young kids, it’s helpful to have a game or two that can keep them occupied in a safe manner. Arranging for guests to get caricatures done or having a small room full of games supervised by a babysitter that can help couples relieve their parental role for a brief time! After party – Depending on how late your wedding goes and how big your budget is, you may want to splurge on some after party celebrations! Work with your venue to see if it’s possible to keep one of the areas for a few extra hours to serve drinks and late night snacks. 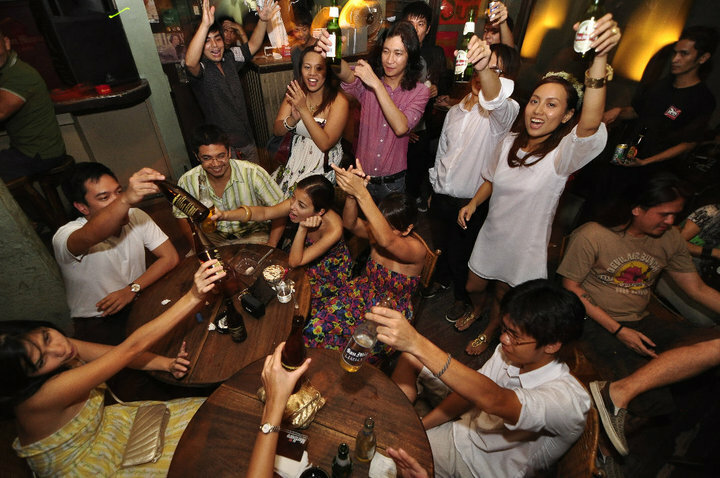 Otherwise, you can coordinate a local bar/restaurant nearby to host some post-event partying! We highly recommend Santa Barbara; Whether it be for a long weekend getaway with your significant other, a bachelorette party with your girlfriends or to plan your wedding.. It’s a beautiful town with lots of scenic variety, a multitude of activities and at a bare minimum, a good place to wind down and get a glass of great wine at some of the wine shops downtown or take a bottle you bought at a vineyard and bring some glasses to the beach on E. Cabrillo Blvd.! Here’s just a taste of the fabulous wedding we attended! We loved the barn style reception, small DIY personal touches (old family photos), and vintage lace, books and other decor for the guests’ tables! 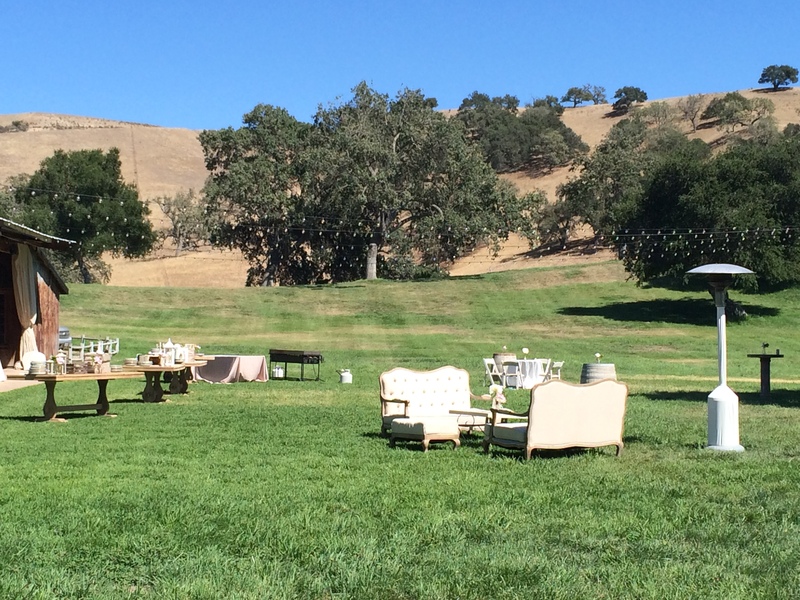 Contact us for more details about planning a destination wedding and/or California weddings in particular as well as other wineries, bars & restaurant recommendations. Make sure you also check out here and here to the unforgettable Aptos, CA wedding that we planned. This really was a wedding dream come true! We know how tough it can be to plan a wedding – that’s why we are here to help! But in all seriousness, we know that multicultural weddings are more prevalent now and can take on a whole new set of challenges when faced with the task of deciding what parts of each culture should be incorporated, how they should be incorporated and successfully executing the process. We have worked with many couples who have taken on the feat of creating their dream wedding, while making sure to include significant elements of each other’s respective traditions. From our experiences, here are a few tips to take with you on the road to a fun, stress-free multicultural wedding celebration! Educate one another on specific religious traditions. In order to assess the lay of the land with your wedding celebrations, it’s important as a couple to openly communicate with one another about your background/traditions, allowing you to make more informed decisions when the time comes. Discuss & decide together what are the most important parts of each respective culture. The time will come when you’re planning the wedding and you need to decide which elements of your culture will make the ceremony. Once deciding what they should be, then you can map it out to what order everything should go. Be sensitive to each other’s feelings. This can be a tough process and weigh on the couple mentally and emotionally. Typically, these situations have added fuel by their respective families and outside influences, so make sure to trust in one another that you are willing to sacrifice certain things to make the wedding the best it can be. Confirm with the wedding venue that they can accommodate several ceremonies. Depending on the venue location, you should check that they have the space to include multiple ceremonies, if you so choose. Multiple ceremonies will require different types of decor and will need the space to design accordingly. Provide guests with less-known cultural definitions/references. Multicultural weddings to a guest can be confusing. In order to help educate your guests, a fun idea can be creating a DIY glossary or table of contents and provide with the wedding invitations OR leave on the chairs of the ceremony for gusts to read ahead before the ceremony. Allow for creativity with the food, drinks, fashion, stationery and other wedding details. Don’t let yourselves get caught up in finding the perfect balance. Enjoy it by using the cultural differences as an opportunity to be creative with your wedding attire, food & drink choices, unique wedding design and other decor details! 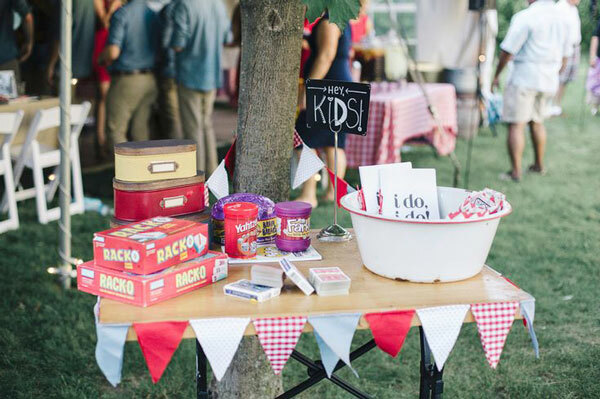 Most importantly, we tell our couples that planning should be a fun time. There will be challenges along the way in all relationships, but working together in this capacity is a true sign of character and commitment to a successful marriage! 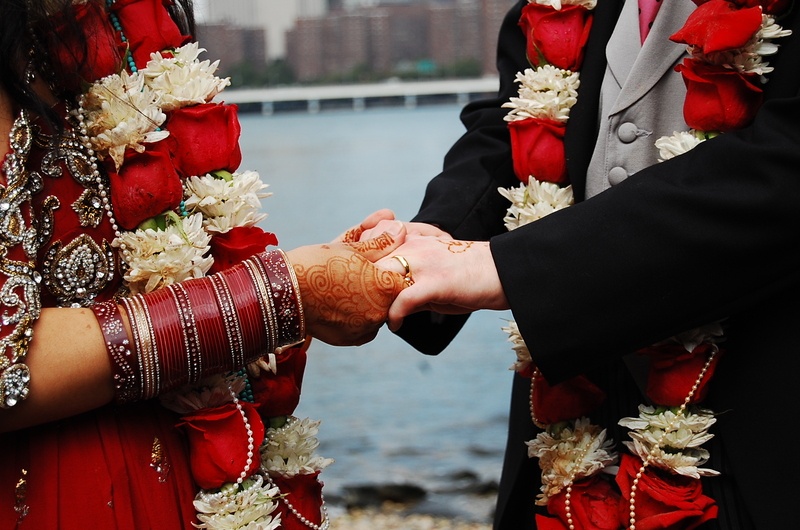 tanaRi events focuses on all weddings, with a specific niche in multicultural and destination weddings. Please contact us for a free consultation and if you have any other questions! What a view this is! After spending two weeks in a beautiful country full of breathtaking sunsets, delicious parillas and sipping on Malbec, we couldn’t help but think how perfect Argentina is for a honeymoon. Because of Argentina’s large size and climate disparity between North and South, there’s many activity options for all couples! NOTE: the preferred time of year to visit is December – March as it’s their summer season. 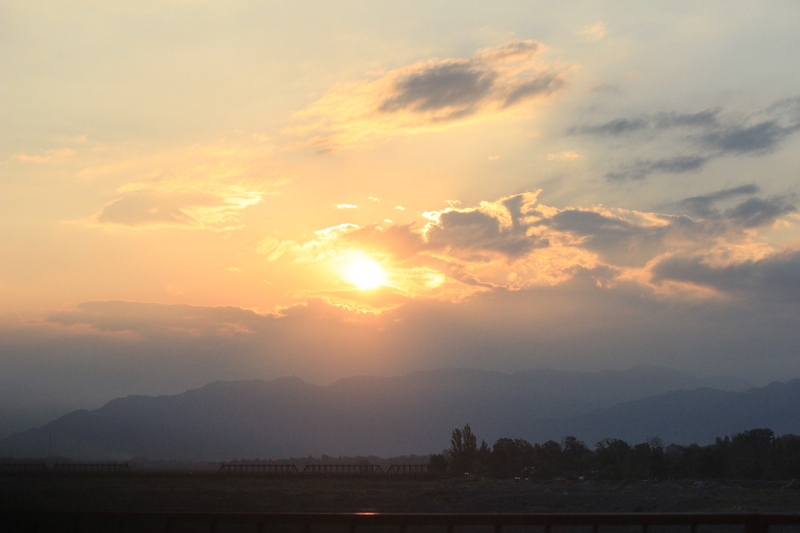 MENDOZA – Known as Argentina’s main wine region, this city is full of beauty along with its tasty Malbec! Whether you enjoy your stay in center city or in vineyard areas, (Lujan de Cuyo or Uco Valley), there is something for everyone! 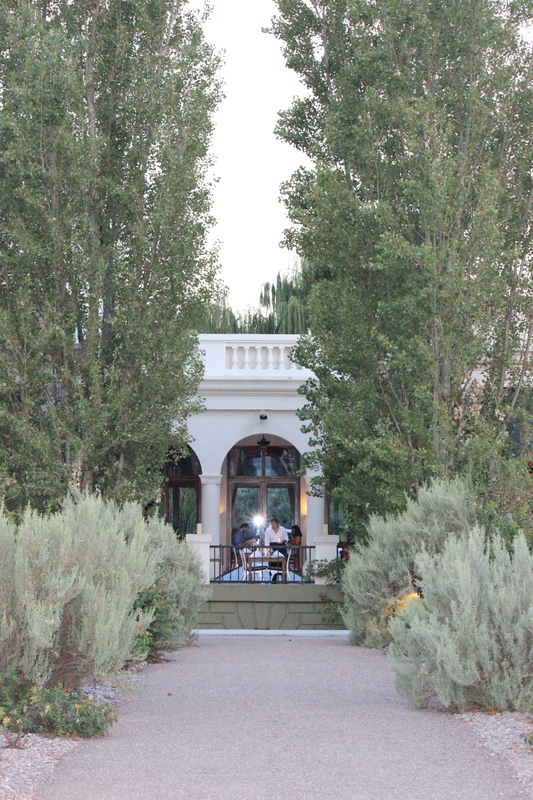 One of our favorite meals was at Cavas Wine Lodge, (located in Lujan de Cuyo). It’s a hotel/restaurant/winery combination, which is perfect for a romantic getaway. While eating a candle-lit dinner, you get the gorgeous view of the vineyard and stunning sunset! Mendoza is also great for doing biking and vineyard tours, where you can enjoy wine, cheese, olive oil & more Argentinian delicacies! Added bonus: you’re almost always guaranteed warm weather! USHUAIA – This was the most unexpected, yet highlight of our trip! The area was first built by French settlers, so many people speak French and the city itself has various French influences. It reminded us of Quebec! 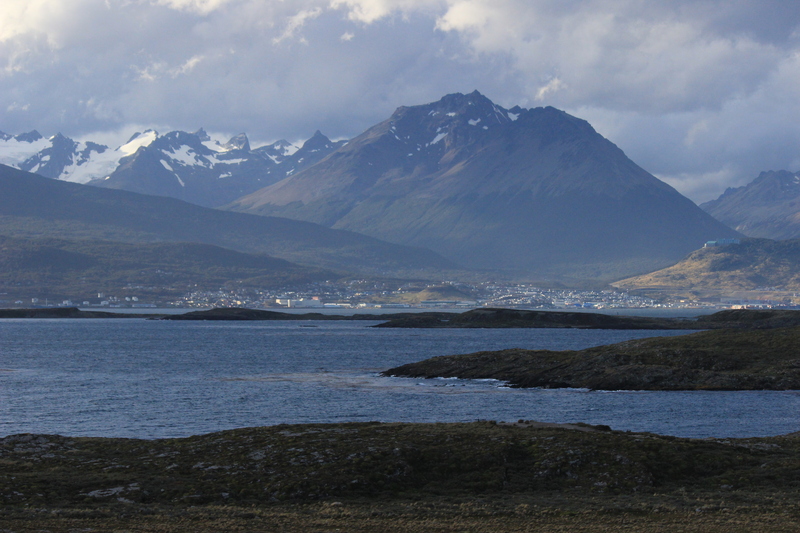 Ushuaia is in one of most southern points of the country; It’s located in the Tierra del Fuego AKA ‘Fire Land’ and is a popular summer vacation destination for locals. On average, the temperature never reaches above 50 degrees Farenheit so make sure to pack appropriately with a jacket, hat and gloves! It’s a small city, but there’s an array of delicious restaurants. (I’d recommend anywhere with seafood – crab, specifically they are most well known for.) Av. San Martin is a fun strip of touristy shops, cute restaurants and bars. Also, being near the water allows for adventurous activities for those seeking them out. Boat tours, mountain climbing, penguin watching are just a few of the many options at your disposal! All you do is go to Av. Maipu and visit the kiosks to book your reservations. For those who enjoy climbing, the weather can drop and deep in the mountains, you can expect rain and/or snow almost every day! BUENOS AIRES – Serving as the capital of the country, Buenos Aires is quite large and full of museums, parks, street art and Evita memorials! Each neighborhood in Buenos Aires has its own unique traits, so make sure to try and explore as many areas as you can. Many honeymooners stay in the Recoleta are, as it has all your 5-star hotels and up-scale restaurants & clothing shops. 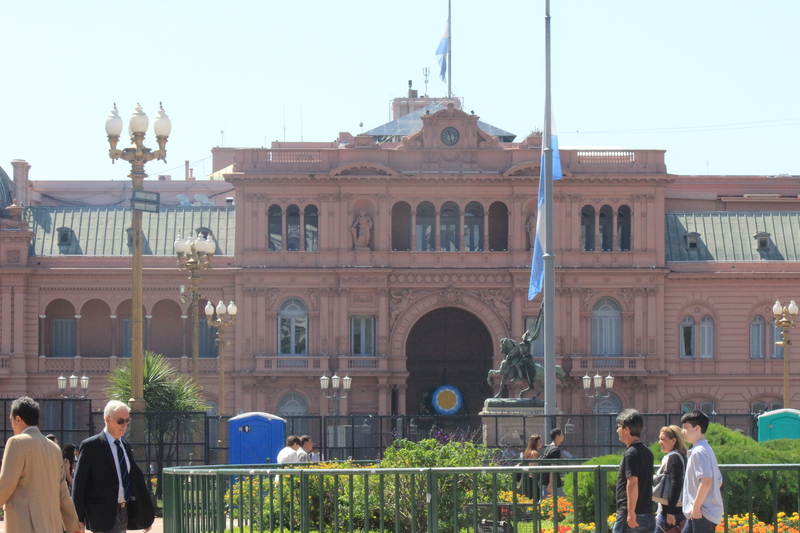 The city is best known for its steak, polo, street art and tango shows. If you have the time, allow yourself to walk around the city with no specific plans. Eat breakfast in Palermo Hollywood, shop in Palermo Soho, visit the San Telmo Market (if you’re there on a Sunday) or see the Evita memorial at the Recoleta Cemetery. There’s an endless amount of options, but don’t get overwhelmed! If you don’t plan everything ahead of time – don’t panic! There’s usually open spaces for tango shows, street tours and museums every day. Bring more cash with you! Vendors are often willing to give better deals when you can pay in international currency as the value of their dollar is low. Learn some basic Spanish! People do speak English, but when you go into more local neighborhoods, their English is limited. Pack for the weather! Depending on the cities you travel, you may need to pack for summer and winter. Ask your travel agent or research online for more details about the location based on time of year during your visit. See below for some breathtaking photos of our stay – you will not be disappointed! Contact us for more information and how we can help.